1) Flood damage from hurricanes is NOT covered by your home or fire property insurance policy on your residence or business. Even if you are not in a designated flood zone, flood insurance is recommended. You MUST have a separate FLOOD insurance policy through the National Flood Insurance Program. There is a 30-DAY WAITING PERIOD before a new flood policy will become effective. Call or come by our office TODAY to get your flood policy! 2) Have a summary of your insurance policies with you if you must evacuate. NOW IS THE TIME to review your coverage levels on each policy (home, wind, flood, auto, etc) and your mortgage holders to ensure that your coverage is adequate and that all information is correct on your policy. Be sure you know your carrier's name and policy number for all of your policies. 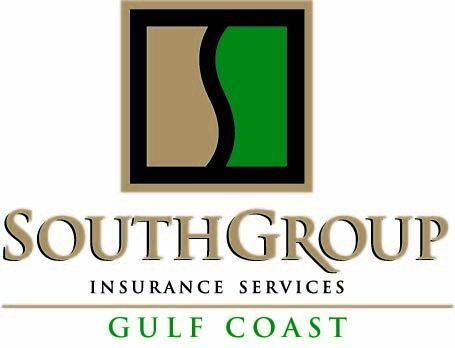 You may contact us (email: info@southgroupgulfcoast.com , phone: 228-466-4498, fax: 888-415-8922) if you need policy information or if you need any changes to your policy. 4) If you evacuate, email us info@southgroupgulfcoast.com with your contact information (address and phone number), so that we will be able to assist you more quickly if you have a claim. 6) If you have hurricane damage, report it to us as soon as possible - call 228-466-4498 or email: info@southgroupgulfcoast.com or fax 888-415-8922 or online through our 24/7 CLIENT SERVICE PORTAL. You may also report your claim directly to the appropriate carrier (phone numbers will be available at www.southgroupgulfcoast.com ). Recognize that communication lines may be impaired, but keep trying! 7) Following a storm, make temporary repairs and take pictures of all damage. Don't throw away any damaged valuables until an adjuster has personally seen and documented them. 8) Thoroughly document your damage by listing damaged/destroyed items along with estimated values to provide to your adjuster. Take pictures if possible. 9) Your adjuster will discuss with you which damages are covered under your policy. Make a note of your adjuster's name and number, as well as the claim number you will be assigned. You will be assigned a different adjuster for each policy that you have. Keep in touch with your adjuster(s), at least weekly, until your claim is settled. 10) Contact SouthGroup Insurance (email: info@southgroupgulfcoast.com , phone: 228-466-4498, fax: 888-415-8922) with any questions you may have. May God bless us all during this hurricane season.